In this activity, affectionately called Perimeters and Areas by Embodied Agent Reasoning, or "PANDA BEAR", each student controls a single vertex of a shared polygon. 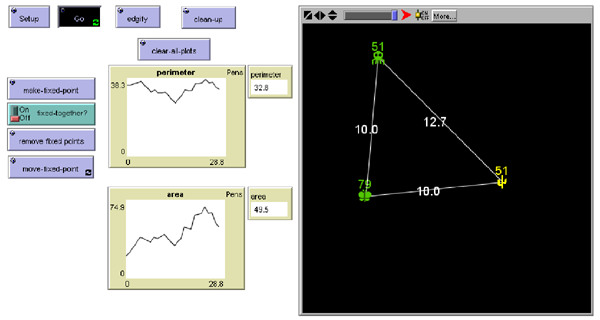 As the students move their vertices around, they receive live updates on their individual client interfaces of the polygon's perimeter and area. Together, the students can then be led to collaborate in solving challenges such as maximizing the area while keeping the perimeter below a given value. 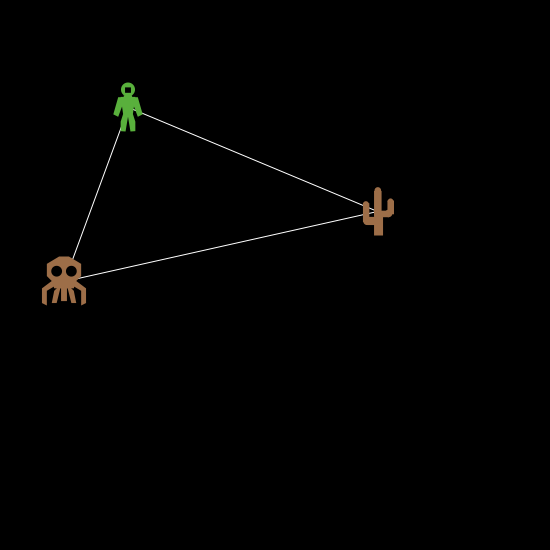 In that example, an equilateral triangle emerges as the optimal solution. Through both its user interface and the need to coordinate actions with other students, PANDA BEAR fosters a new understanding of standard geometric concepts. This understanding complements what students achieve through existing curricula, making for richer mathematical understanding. The activity engages students in a solution process and not just memorizing mathematical formulas. The collaboration encourages students to make their intuitions explicit while staying engaged and connected. Learn more on the PANDA BEAR modeling commons page.